Fanpage Karma has a new design. It has been a while since we poshed up Analytics but good things come to those who wait. The new interface is faster, more userfriendly and super pretty. 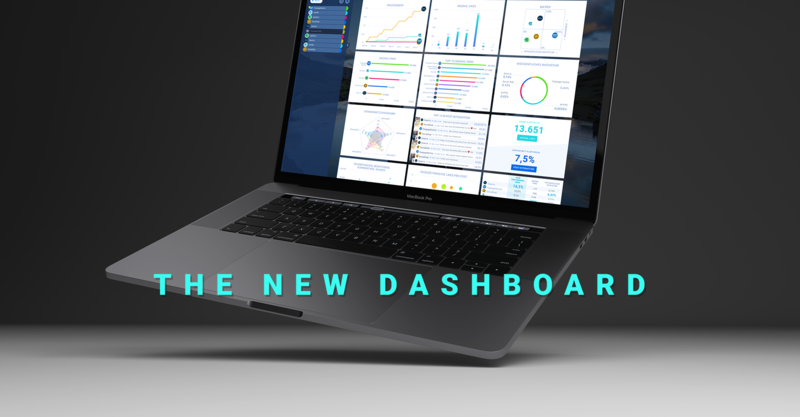 A dashboard allows you to analyze groups of social media profiles. In the new design the selection of profiles is more flexible and smooth. The profiles of your dashboard are now listed in a bar on the left side of the graphs and analyses. Hovering over them with your mouse will reveal a menu. You can hide and unhide a profile, change its color, delete it from the dashboard or access more details about it. The table of KPIs is now even more user-friendly. Here too, we have more mouse-overs now that allow you to make changes more quickly. You can, for example, sort the values by a chosen metric by clicking on it. We implemented a weighting function to improve readability of the table content. This means, that higher values are highlighted by a bigger font size. Like that you can detect the winners and losers immediately. The weighting might need some getting used to. You can choose if you want to activate it or not. In the new dashboard you get more graphs at one glance. Next to the usual column, circle, line and matrix diagrams, we added two new ones. You can now create spreadsheets and spiderweb diagrams to your chart board. We are currently working on even more graphs. Just like in Engage and Publish you are now able to select your own background and color scheme in Analytics. In short, the new design is more modern, clean and intuitive. We hope you will like it as much as we do. The new design is available in all versions from now on. On www.fanpagekarma.com you can join a free two-weeks trial.